To add a coupon, choose View Cart prior to checkout. 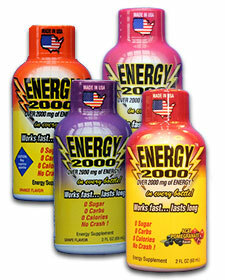 "Energy 2000 sustains me through the day with no side effects. I donâ€™t crash, and I donâ€™t feel guilty about calories. I feel like I have double the energy!" Copyright © 2009-2014 Global Brands LLC. All rights reserved.